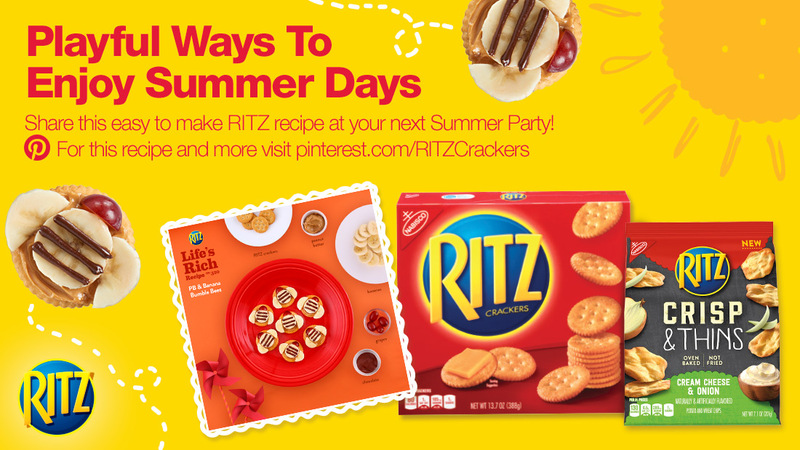 RITZ SUMMER SNACKING DIRECT MAILER - Phoenix Creative Co.
Summer snacks can make or break a summer party. And RITZ wanted to inspire a playful way to enjoy a summer party with a simple and fun recipe. We created a direct- mail piece to be sent to CVS customers showcasing a yummy RITZ recipe and encouraged the results to be shared on the RITZ Pinterest page.